Perhaps my favorite fish to target along the South Carolina coast, Tarpon are the pinnacle of inshore gamefish. A little known world class tarpon fishery sits just to the south of Myrle Beach where I have spent much of my adult life fishing for tarpon. 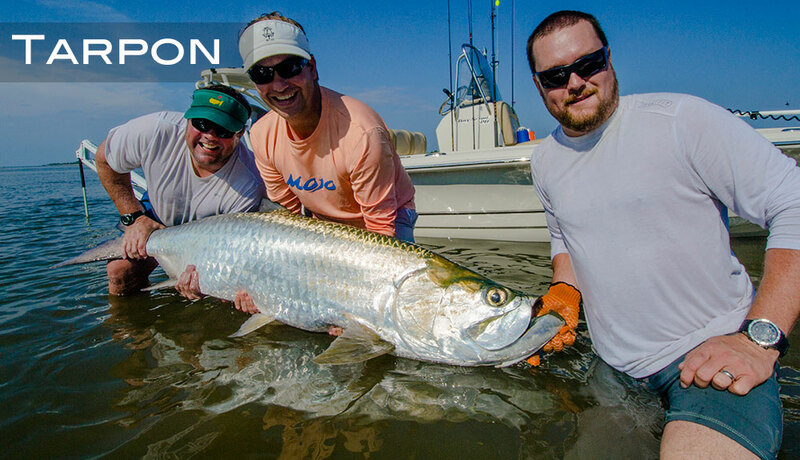 Tarpon are common in South Carolina from June-October but perhaps your best chance at catching one is anytime from August – October. South Carolina tarpon are a migratory fish and when they start arriving in our water, they bring an appetite. Maximum Age: approx. 50 years – possibly up to 70 years.